Enough for you to give it another chance? 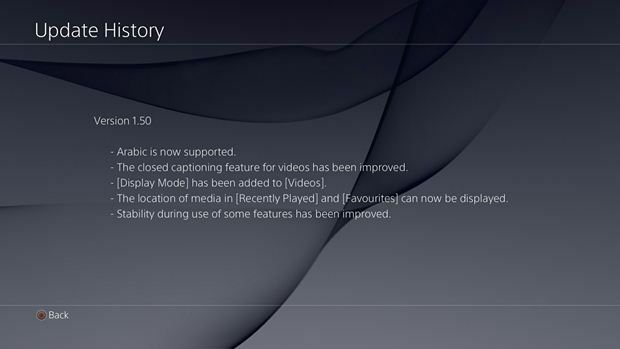 Sony updated the controversially buggy PlayStation 4 media player quietly last night. The update does not seem to be too substantial- most of the known issues that cause crashes still remain, for instance. However, there are some notable improvements that the new update introduces. Among these are an improvement of the closed captioning feature for videos, as well as support for Arabic. In general, the update also claims to have made the player more stable, although that remains to be put to the test over the next few days. Is this enough to make you want to give the player another shot? Or are streaming services like Spotify and YouTube, which are all on PS4, meeting your media needs on the console?